Juniper Secure Analytics monitors security information and events in near real time. AppFormix is a new breed of optimization and management software platform for public, private and hybrid clouds. This intent-driven software manages automated operations, visibility, and reporting in cloud and Network Functions Virtualization (NFV) use cases for Kubernetes and OpenStack, as well as Amazon Web Services. Defined by simplicity and innovation, Junos OS is the single operating system that powers Juniper's broad portfolio of physical and virtual networking and security products. Juniper Networks Cloud Analytics Engine uses network data analysis to improve the performance and availability of mission-critical applications. Our Cloud Customer Certification Lab (Cloud CCL) is a versatile web-based testing platform that emulates your real-life networks, topologies, configurations, and traffic flows. Contrail offers intelligent automation, application security, and always-on reliability for cloud and Network Functions Virtualization (NFV). A comprehensive, scalable, and secure portfolio of routers for enterprise and service provider networks. Junos Space Security Director provides security policy management through an intuitive, centralized interface that offers enforcement across emerging and traditional risk vectors. The WAN SDN controller automates the creation of traffic-engineering paths across the network, increasing network utilization and enabling a customized and programmable networking experience. WANDL IP/MPLSView is a multivendor, multiprotocol, and multilayer operations support systems (OSS) traffic management and traffic engineering solution for IP and/or MPLS networks. Junos Space Connectivity Services Director gives service providers and enterprises the power to quickly design, provision, and deliver new IP/MPLS, Carrier Ethernet, and Packet Optical services across their networks to deliver the superior customer experience required in today's always-on environment. Junos Space Cross Provisioning Platform is a Junos Space application that acts as a "manager of managers" provisioning services across multivendor devices. It simplifies multivendor service provisioning and life-cycle management for Carrier Ethernet and IP/MPLS services, using a flexible interface to design, validate, and manage provisioning across multivendor network platforms. Junos Space Edge Services Director is a management application for the Junos Space platformthat supports the full fault, configuration, accounting, performance, and security (FCAPS) management life cycle of Juniper's Network Edge Services portfolio. Juniper Identity Management Service strengthens enterprise security that authenticates and restricts user access. Improve the economics of networking with cloud-grade, high-density Ethernet switching across your data center, campus, and branch. Juniper Sky Enterprise makes cloud network management simple and quick for IT teams of all sizes and experience levels deploying Juniper switching and security devices. Junos Address Aware is a licensed application for MX Series 3D Universal Edge Routers that helps network operators mitigate IPv4 address depletion, ensure IPv4 and IPv6 coexistence, and pragmatically transition to IPv6 in a nondisruptive and low-risk manner. Junos Application Aware identifies and classifies network traffic on a per-application basis, facilitating the creation of highly customized, revenue-generating services. Junos Network Secure is a licensed application for the MX Series 3D Universal Edge Routers that lets network operators implement stateful firewall services that underpin managed services, protect router resources, and establish a critical first line of defense in a layered security architecture. 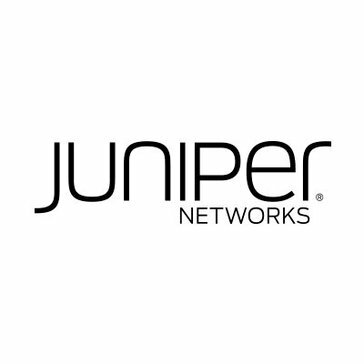 Junos Space Network Management Platform works with our management applications to simplify and automate management of Juniper's switching, routing, and security devices. Junos Space SDK delivers on the programmability promise of SDN by making it easy to create custom analytic and management applications that run on the Junos Space Network Management Platform. Junos Space Service Insight provides targeted impact analysis for End-of-Life/End-of-Support notifications. Junos Subscriber Aware is a licensed application for high-performance MX Series 3D Universal Edge Routers that associates traffic flows with subscriber identity and operator policy, enabling highly personalized services. Junos Traffic Vision is a licensed traffic sampling application for MX Series 3D Universal Edge Routers. It provides details on network traffic flows that is useful for a wide variety of operations and planning activities. Junos Video Focus is a licensed application for MX Series 3D Universal Edge Routers that lets cable operators and service providers monitor video quality on their IP networks in order to maintain subscriber satisfaction. Junos Space Network Director is a smart, comprehensive, and automated turnkey network management solution. Administrators can use it to visualize, analyze, and control their entire enterprise networks, all through an integrated management screen. A portfolio combining software innovation with open, programmable systems to help operators lower transport costs and drive new revenue opportunities. The full-featured, carrier-grade vMX extends more than 20 years of Juniper edge routing expertise to the virtual realm. Spotlight Secure Threat Intelligence Platform links security intelligence to policy enforcement for rapid protection against advanced threats. Juniper Unite Cloud, a framework designed to help your IT organization reduce risk, increase agility, lower TCO, and enhance the overall experience for your customers and employees. Juniper Unite Cloud enables an automated, autonomous network with coherent management.